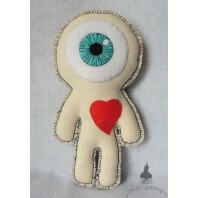 Small voodoo mummy-cyclops doll for declaration of love or return of the loved one. 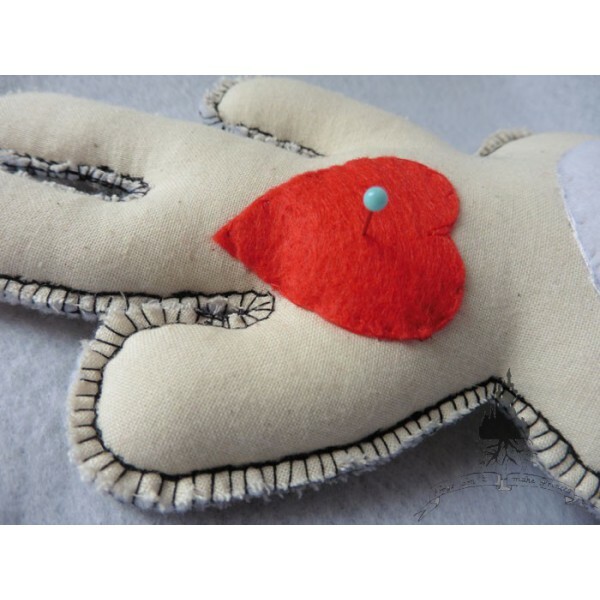 Each doll is handcrafted as a single model and may have some differences. Condemned by his appearance and his sanguinary and violent nature to live alone, he falls in love with a nymph forever inacessible. 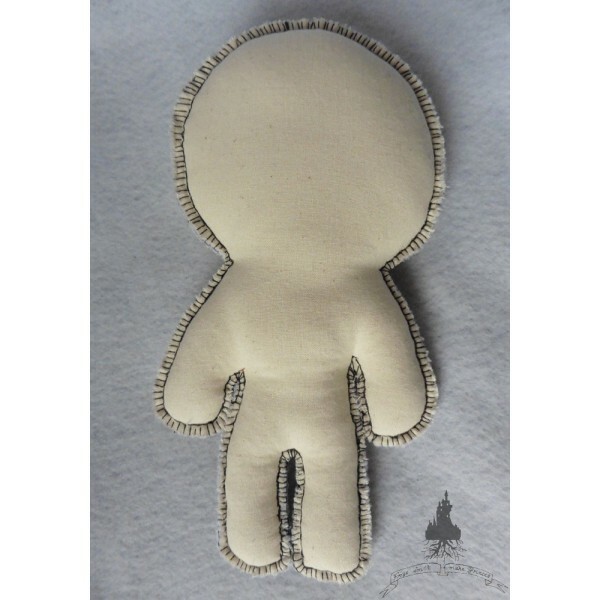 Inspired by the character of Polyphemus, this little doll is made of white felt and anti-allergic wadding cotton. Comes with a needle to prick its heart. These are accessories and toys for adults only, which are not suitable for children. © Article protected. All rights reserved.